Keep your soul at peace with with the Yoga Spree 2 Sandal from Sanuk. Namaste. 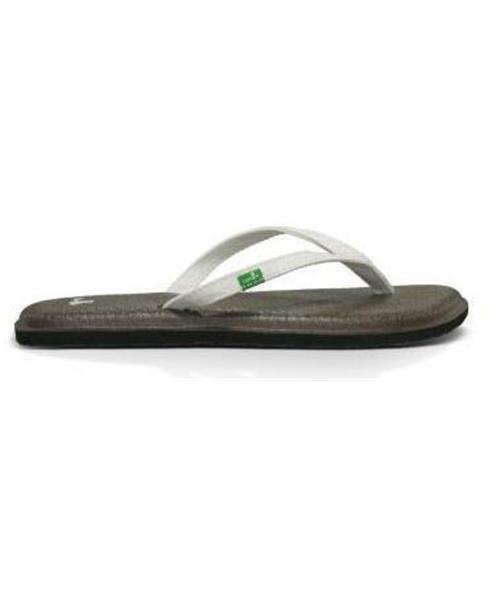 * Sealed edge footbed made from real yoga mat! * Metallic textile strap with webbing liner. * Repeat Happy U rubber sponge outsole. * Sanuk logo on strap and footbed. * Vegan and vegetarian friendly.